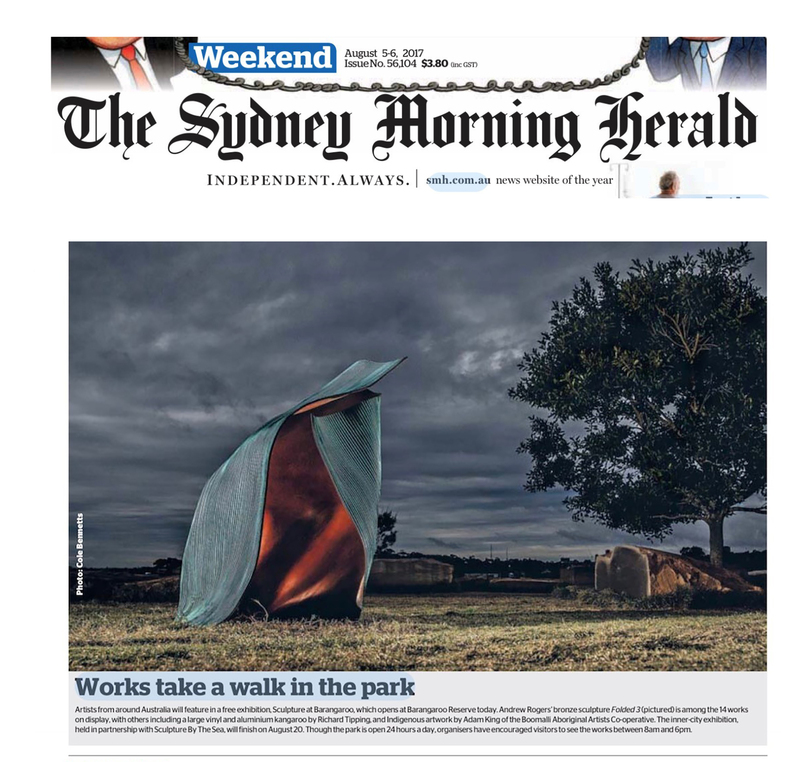 Artists from around Australia will feature in a free exhibition , Sculpture at Barangaroo, which opens at Barangaroo Reserve today. Andrew Rogers’ bronze sculpture Folded 3 (pictured) is among the 14 works on display, with others including a large vinyl and aluminium kangaroo by Richard Tipping and Indigenous artwork by Adam King of the Boomalli Aboriginal Artists Co-operative. The inner city exhibition, held in partnership with Sculpture by the Sea, will finish on 20 August. Though the park is open 24 hours a day, organisers have encouraged visitors to see the works between 8am and 6pm.